Selling land can be much more complicated than selling a parcel with an existing structure. It would seem that having open space with little or no amenities would eliminate complications, but typically selling raw land is a tedious and time consuming process. Buyers typically have several questions, and you as the seller need to be ready for them. Additionally, you should be prepared to know all about the possible uses of your land, and what a potential buyer might be able to do with it. Obtaining accurate pricing for land can cause confusion and controversy. Features such as available water, direction of population growth, location to amenities, zoning, soil usability and possible sub-division all play a key role in finding accurate and competitive pricing. Like an appraiser, finding properties with similar characteristics will help you set a fair selling price. Obtaining an official appraisal may help to alleviate any pricing questions. It's amazing all of the questions a buyer can think of -- be prepared. Questions about zoning issues, water availability, perc testing, property boundaries, covenants or restrictions and electricity are just a few of the possible scenarios. Do your homework and contact local authorities to get documentation regarding potential questions before marketing the parcel. Additionally, obtaining an official survey of your land will eliminate future boundary discrepencies or disputes. 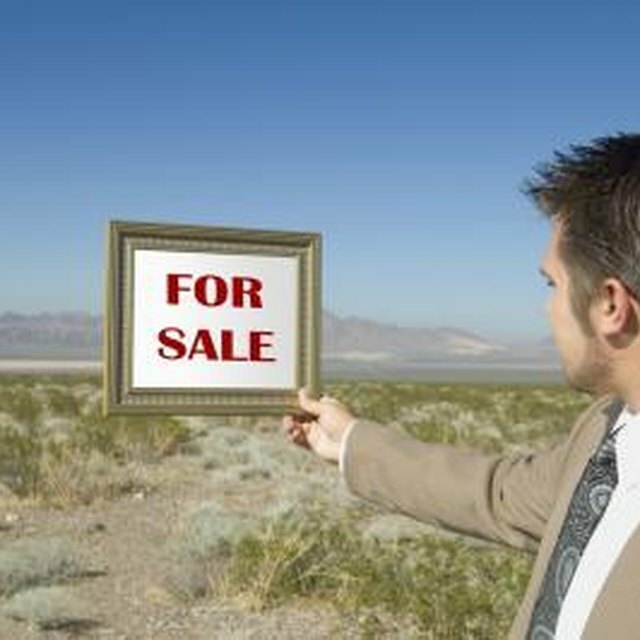 Determining how and where to market your land can be a huge factor in the length of time it takes to sell. Once you have knowledge regarding zoning and future construction possibilities, you can tailor your marketing efforts towards buyers who may want what you have. For example, local farmers might find your land attractive, or possibly developers, builders, or single family buyers. Retaining the help of a real estate agent is not a bad idea to help bring more buyers to the table. Many lenders have strict rules governing raw land loans. With higher down payment requirements and interest rates, you may find that the pool of buyers becomes drastically smaller when selling raw land. One solution might be to offer seller financing. Not only might this assist a buyer who really wants to buy your land but can't, due to credit and financing restrictions, but it could put some extra cash in your pocket as well.